We have chosen St. Anne (Blessed Virgin Mary’s mother) as our blog’s patron. My husband has a special devotion to St. Anne from his childhood. And what better saint than the Patron Saint of Homemakers for me. 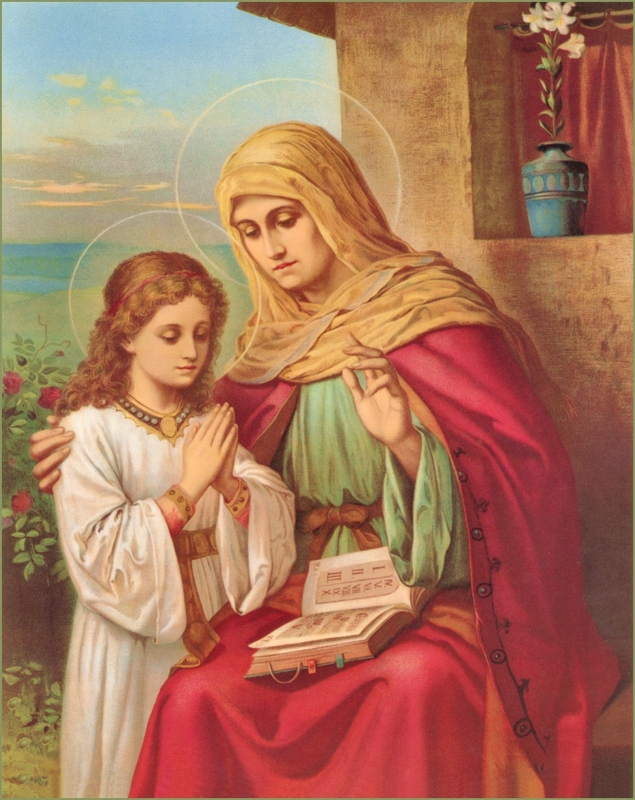 I love the picture above because it depicts St. Anne carefully instructing her daughter; yeah for homeschooling! Saints Joachim and Anne’s feast day is July 26. What a great day to honor grandparents…you know, because they were the grandparents of Jesus. St. Anne, pray for us!